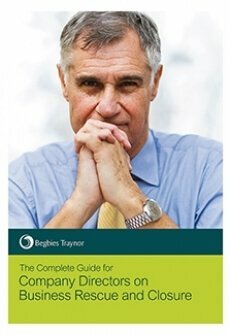 As a company director, you may be entitled to redundancy when your company enters liquidation or administration.If you are considering either the insolvency process or your company is currently in one, use the Quick 60 Second Calculator below to outline your potential redundancy claim. For more information on how the process works and to discover if you are eligible, visit our Director Redundancies page. Simply complete the fields below to receive your free illustration from Redundancy Claims UK. When a company is insolvent and heading into a formal insolvency process such as liquidation or administration, the company director(s) may have a legitimate claim for redundancy based on specific criteria. Staff redundancy has long been recognised as a statutory entitlement when a company goes under but – in our experience – awareness of director redundancy is still relatively low. Below, we attempt to shed more light on director redundancy and the criteria for a successful claim. When a director is paid through PAYE (company payroll), he/she would be considered an employee of the company like other non-shareholding staff. The common misconception is that directors are not entitled to redundancy like their employees but once a director is paid via PAYE, they are essentially employees of the company and therefore qualify for the same statutory entitlements. In addition to being on the company’s payroll, a director must have worked for the company for a minimum of two years. If this is the case, it’s highly likely the director would have a viable redundancy claim for which the average claim is £9,000. At a time when a business is struggling financially and a director may not even have the funds to pay for a liquidation or administration process, redundancy pay can often be a very welcome and timely windfall. Use the calculator above to ascertain your potential director redundancy claim. This is an estimate based on the figures you provide and would need to be verified by a member of our team. The best time to assess your claim is either pre-liquidation or early in the liquidation process. If your company has recently liquidated, the deadline for making your redundancy claim is six months from the date of liquidation. Begbies Traynor work with a regulated director redundancy claims specialist to ensure company directors are maximising the value of their claim when their company enters a formal insolvency process. For more information or free advice on your right to claim and potential claim value, please complete the calculator above and a member of our team will be in touch.